As part of the International Biennial of Contemporary Art in Prizren, Autostrada Biennale (AB), a public performance for the use of green spaces and the riverbed of Lumbardhi was organized in partnership with EC Ma Ndryshe. As part of this activity, this space was used as a meeting point for visitors to the Biennale, where they had the opportunity to experience the river up close as well as the natural green spaces around it. This space served as a meeting point where visitors could be informed of the activities of the biennial, as well as purchase products sold by AB. 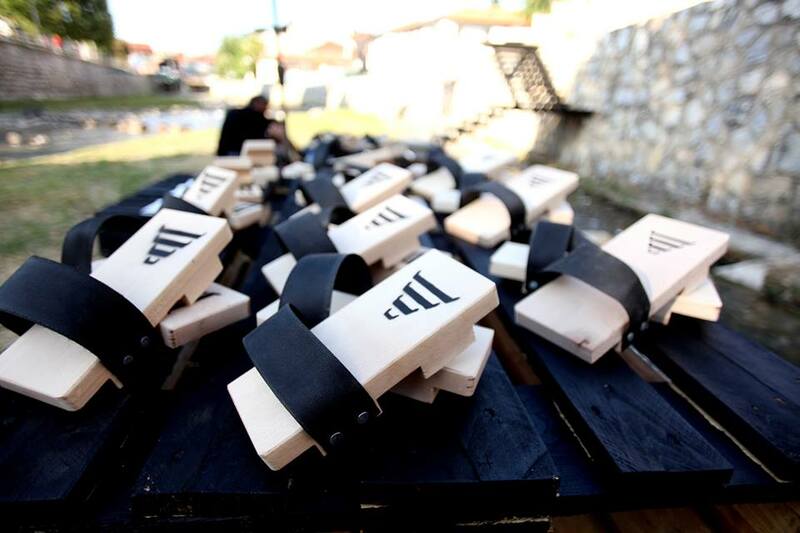 During the entire biennial, residents and visitors to Prizren alike visited this meeting point, where they also had the unique opportunity to try on the so-called “nalle” sandals, which are a part of the cultural heritage of Prizren and which were re-designed as part of the AB brand. This activity intended to highlight the issue of the lack of green spaces and vast amount of unused public spaces in Prizren, with the aim of encouraging local and central authorities to take appropriate action in this regard. FILL THIS FORM AND WE WILL GET BACK TO YOU IN APROX 72 HOURS.